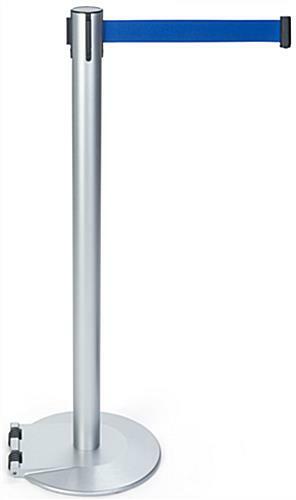 These silver stanchions with wheeled base are excellent for creating crowd control systems like queue lines and barriers. The posts each have a blue retractable belt made of wrinkle free nylon for high traffic environments. 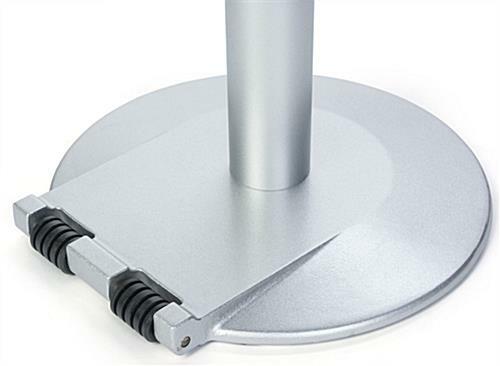 This type of silver stanchion is made to be highly portable and they can be moved by tilting and rolling away. 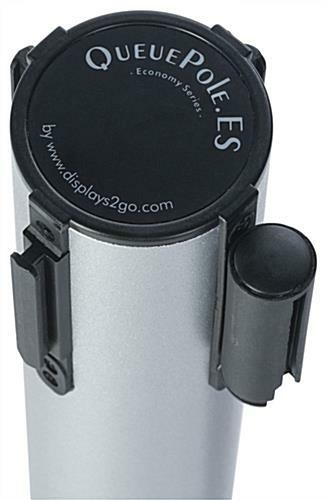 The crowd control stands are made of durable steel with a sleek finish to fit in any retail store, theatre or bank. Another feature of the barrier stanchions is their 4-way adapter for receiving other retractable tapes.